From experience, a cheating wife or partner can be devious and cunning when having a quick fling or full blown affair. Men tend to be much less careless than women as they make more of an effort to cover their tracks to hide the infidelity. Once you have the gut feeling something is ‘going on’ our advice is NOT to raise the issue but initially, keep your eyes and ears wide open without raising her suspicions. Why is this? If she knows you are ‘on to her’ it will make things much harder when it comes to gathering the evidence you need to protect yourself, your assets or children if the matter goes to court. Identifying what is happening where, when and with who is crucial to any matrimonial investigation if you want to keep the costs down, establishing the basics will ensure there is a good starting point. What – What exactly do you suspect? Maybe you suspect an inappropriate relationship with a work colleague? possibly a full blown affair? Have you been informed she has crossed the line or seen messages which may indicate something is going on? Where – Where is the suspected infidelity taking place? Work, local or possibly whilst away on business? Local pub, club or restaurant? Your own home? When – When do you think the infidelity is taking place? Before, during or after she goes to work? Do you suspect it is happening in your own home whilst you are out at work? After she leaves her friends on a night out? Who – Is there someone you suspect? Once you have a starting point now is the time to take action! Our recommendation is to use a professional Private Investigator Durham who specialises in matrimonial investigation. *WARNING* Just like DIY men like to think they can turn their hands to most things, however, carrying out a DIY private investigation can land you in ‘serious trouble’ as reported in the Mail online when an individual was arrested under the Stalking Law after carrying out his own private investigation when attempting to covertly track his wife and alleged lover. 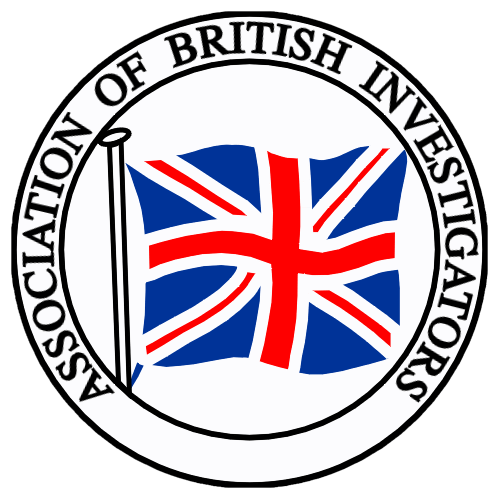 Use a local investigator who is a member of a professional investigation body, Why? The UK private investigation industry is completely “UNREGULATED” which means anyone can set up overnight and trade as PI with little or no experience! 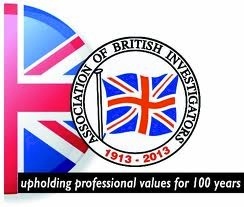 Currently, there is only one professional investigation body endorsed by the Law Society of England and Wales and that is The Association of British Investigators of which the Principal Investigator of Lateo Surveillance Ltd is a Full member. Don’t jump in with two feet! How to find out if your wife is cheating in Durham does not mean calling the first private investigators number you find on google as this could cost more than you think, do some research! *FIND A LOCAL INVESTIGATOR* We have picked up the pieces on many occasions when someone has paid out an awful lot of money for a poor service when there was absolutely no need. We will assume ‘Joanne’ from Durham is having an affair with someone from work and her husband ‘Mike’ has seen a text message which has subsequently been deleted suggesting this could be the case. Mike is not sure when it is happening but Joanne leaves for work earlier and finishes later than she used to. Mike needs a local professional investigator so calls our Durham office. We meet for a coffee and take down all the facts, go away and present him with a non-disclosure agreement and plan. Armed with this information Mike takes a further week’s covert tracking as Joanne is due to attend a course in North Yorkshire and would like to know if she attended. Again, same day and time Joanne leaves work early and stops off at the same address, only this time one of our covert surveillance operators are waiting to record the arrival. Joanne is observed entering the residential address. The upstairs blinds are observed being closed and reopened just prior to her leaving. The following day our tracker identifies her traveling in the opposite direction to her course. We were able to immediately deployed one surveillance investigator who located the vehicle and was able to obtain video footage of Joanne and the male from the residential address (confirmed by our online searches) leaving a well-known tourist attraction just off the A1 together. All our evidence is admissible in court! Because we are a professional company, use evidential grade equipment and are fully compliant members and registered on the register of Data Controllers. The above was a successful classic marital investigation, patience coupled with professionalism = results. All too often many private investigators are only interested in quick payday and advise incorrectly. Thanks for reading our post How to catch a cheating wife in Durham on you. If you need any advice regarding private investigation please feel free to contact us. Visit our home page or get more info via or Private Investigator Harrogate. 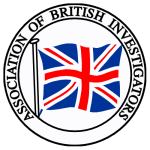 The principal investigator of Lateo Surveillance Ltd is a full member of The Association of British Investigators endorsed by the Law Society of England & Wales. Thank you for visiting our post How to catch a cheating wife in Durham.